Hellmanns Parmesan Chicken is amazing. This chicken dinner is only 3 ingredients to a perfectly juicy meal that the entire family will love. 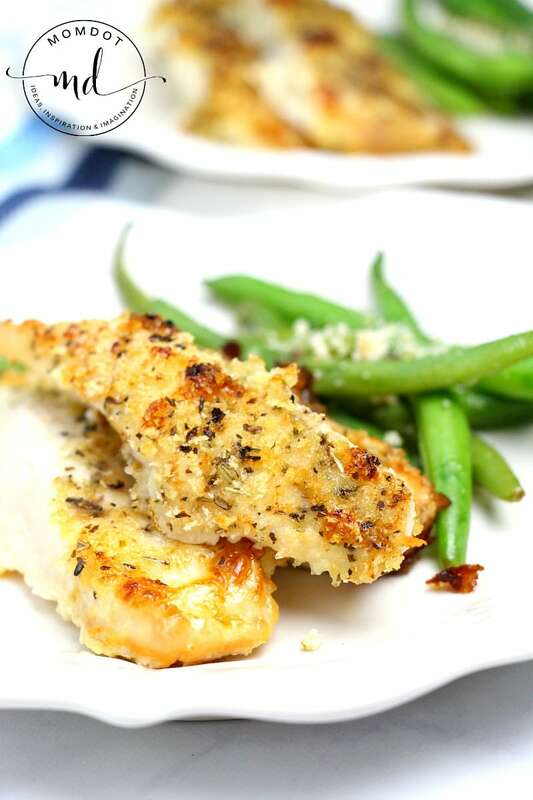 You will love it because its QUICK and EASY without sacrificing taste and your kids will love it because, well, kids love all things chicken. 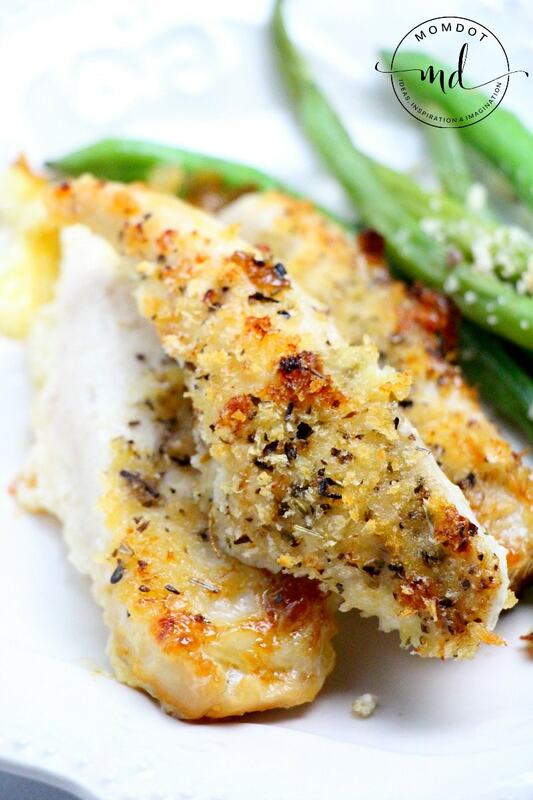 Scroll down to get the Parmesan Crusted Chicken Recipe that will become your monthly staple. The best part is this meal can easily be dressed up to create something even more special. From adding cheese to a homemade sauce, you will never run out of ways to make this over and over. 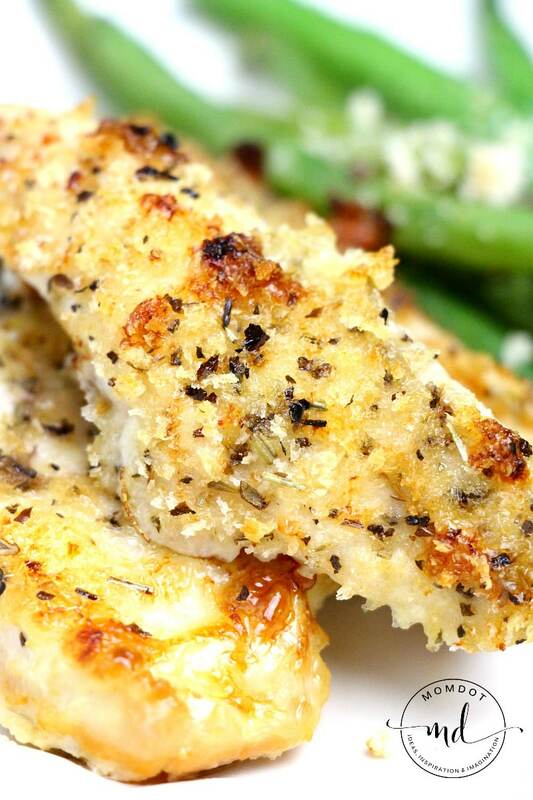 Pair these Hellmann’s Parmesan Crusted Chicken Fingers with some Heart Shaped Roasted Potatoes or a side of Sauteed Cranberry Orange Green Beans for a complete meal. When it comes to dinner in our house, chicken reigns supreme. Truthfully its all I can get either kid to eat- no steak for them, thank you. That means I have to consistently come up with good chicken recipes that the kids love and we, as parents, can enjoy eating as well. Now a bit back I shared with everyone this Chicken Recipe that everyone all over the net is loving. It’s made up of two things: Hellmanns mayo and Parmesan. The combo of these two things is already magical. This updated 3 ingredient chicken recipe is a take on that. Tip: While this recipe has a flair of Italian seasoning, you can also try ranch seasoning or even an onion packet to alter it into a brand new recipe! Combine Hellmann's or Best Foods Real Mayonnaise with cheese in medium bowl. Arrange chicken on baking sheet. Evenly top with mayonnaise mixture, then sprinkle with bread crumbs. We actually tried that Hellman’s recipe for the first time last week. Hubby was all ga-ga over it.